Who would win the award for China’s top Belt and Road Initiative (BRI) partner to date? Pakistan and Russia would certainly be two candidates. The former is China’s only “all-weather partner” and the recipient of the largest BRI project, the China-Pakistan Economic Corridor. Yet, Pakistan is a volatile partner; a partner whose relationship with China is forged on a mutual distrust of India as opposed to genuine complementarities, a partner who may yet decide BRI has become too much of an expensive ordeal, a partner who the world looks on with scepticism especially around its reported links to global terrorism. As for the latter, Russia and China do share more complementarities (Russia has plenty of gas, but needs China’s financing to launch the projects) and the two have come closer in the new era of “great power competition” as branded by the US. Yet, whilst brushed under the carpet, tensions between China and Russia still remain, particularly around their competing desires for influence in Central Asia. In Russia’s Far East, the memory of war with China also lives on as well as anxiety associated with Chinese immigration into the region. Singapore manages to buck these trends. 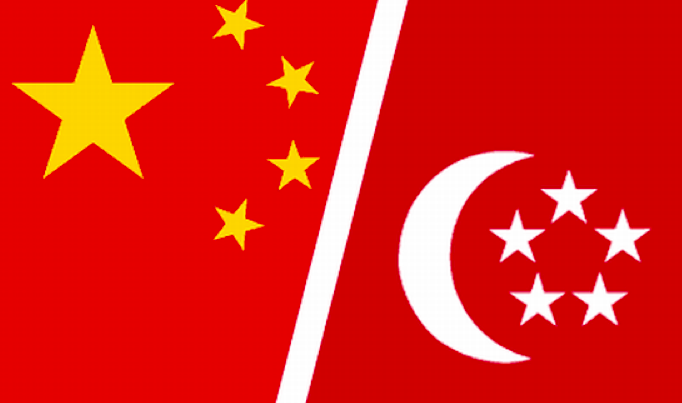 Not only does China invest a significant amount in Singapore, but Singapore invests in China. Singapore is the largest foreign investor into China, and Singapore is China’s largest investment destination in Asia. China’s Ministry of Commerce released data showing that 2018 Singapore had already invested $4 billion into China, representing around 5% of total inward FDI. Singapore prides itself on its professional services sector; it hosts a number of the world’s biggest financial, legal and consulting firms who use the city state as their Asia headquarters. That leaves Singapore well positioned to service Belt and Road projects; in particular offering services such as: project valuation, deal structuring, financing, and commercial dispute resolution. Chinese corporations are already making good use of Singapore’s facilities. For example, China Construction Bank issued 300 million Singaporean dollars of BRI infrastructure bonds earlier this year, wetting the appetite of Singaporean investors who see good yields from global infrastructure projects. Singapore’s United Overseas Bank (UOB) recently signed a deal with Shanghai Pudong Bank to collaborate on BRI opportunities. Impressively, 22% of all investments from China to BRI countries and 85% of investment to China from BRI countries use Singapore as their financing hub. Singapore’s geographical proximity to China complements its expertise in the area. One of the issues that has affected the success of BRI in multiple countries is political volatility. Governments can change their stance on BRI quickly, as was the case in Malaysia. PM Mahathir came into power believing the BRI was associated with Malaysia’s endemic corruption and that the projects themselves were too expensive with limited value to normal people. In Singapore’s case, the government is stable, and has given its long term commitment to BRI. Singapore’s big investors, particularly its sovereign wealth investor – Temasek – have the ability to taken on significant duration risk with their overseas investments. Not only does Singapore have the capital, but it has the risk appetite to take on long-term infrastructure projects that many other countries do not. Singapore’s infrastructure and technical know-how also makes it well placed to benefit from BRI as it evolves over time. We have previously highlighted the growing tendency for BRI to embrace digital characteristics; such as e-commerce, telecommunications and blockchain. In these spaces, Singapore is a leader. Indeed, one Singaporean company is already using blockchain to make BRI customs clearance more efficient. Singapore is a multiracial and cosmopolitan city, and around three quarters of the population originates from China. Whilst the national language is English, Mandarin is taught as a second language. Having worked with clients in African countries on BRI projects, we have seen first-hand how a lack of cultural assimilation can contribute to BRI’s difficulties abroad. Indeed, this was a concern shared by former Vice-Foreign Minister of China, Professor He Ya Fei, in an exclusive interview with us. Given cultural proximity to China, Singapore does not suffer from the same problems. In April 2018, Singapore signed an MoU with China to cooperate on developing and financing projects in BRI third markets. In doing so, Singapore became one of the world’s first developed countries to formally back BRI and cooperate with China in third markets. Through its constructive approach towards BRI, and keeping the geopolitical concerns around BRI often voiced by other developed countries in perspective, Singapore has earned great respect from China as a reliable partner. This may explain the recent upgrade of the China-Singapore Free Trade Agreement, in which BRI has been included and Singapore has additionally secured a number of key market access gains into the Chinese market that are not available to other countries. The new agreement means that Singapore will now have more access to China’s legal, maritime, and construction services sectors. In particular, access to China’s legal sector is a real coup for Singapore. The legal sector is normally prohibited from foreign investment; but Singapore law firms based in the Shanghai Free Trade Zone can now partner Chinese law firms to offer domestic and international legal services to clients throughout China. Cooperation on BRI continues to deepen between the two countries, with another statement being signed in Premier Li Keqiang’s visit to Singapore earlier this week. The statement said: "Both sides agreed that cooperation along the Belt and Road is a new highlight of China-Singapore relations,"
Singapore’s governance, its financial sector, its culture, geography and cooperative relationship with China make it the top Belt and Road partner. In contrast to the likes of Pakistan and Russia, Singapore’s constructive relationship with China is a choice made on its own volition. Singapore is a partner that best exemplifies BRI as a two-way street; Singapore invests in China and China invests in Singapore, and the two cooperate on BRI projects in third markets. While the city state, given its size, will never top the trade statistics with China, it most certainly pulls above its weight when it comes to collaborating on the Belt and Road.